FlightHub is showing some fares from Vancouver to Montreal that are verifying at $268 CAD roundtrip including taxes, but I'm going to guess they likely can't come through on these, because on every other booking site, the $268 price is doubling once you get to the verification screen. Update @ 1:30 PM PST - These are now verifying on the WestJet website! As you can imagine, this has sold out pretty quickly. The WestJet site is still showing cheap one way flights ($130 CAD including taxes) from Vancouver to Montreal on Oct 19. But that's too long of a trip for most people! 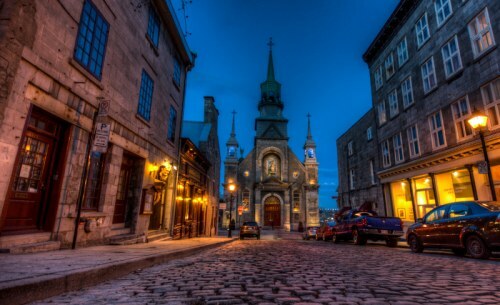 vancouver, yvr, flight deals, westjet, canada, north america, montreal, quebec and yul. 6 Responses to "Vancouver to Montreal - $268 CAD roundtrip including taxes | new record!" I just booked Oct 26-Nov2 direct flights (at great times) for $268 tax in. Thanks YVR deals! Amazing. This is about 1/2 of the cheapest flight I've ever booked to Montreal!